Hello, hope your are all well. Its been a long time i feel, since I've sat down and written a proper post. I am currently meant to be helping my dad paint our kitchen, but I've taken some time out whilst he is painting the ceiling so i can have a lovely chat with you all! I believe that everyone and their mums goldfish's uncle has heard of the genius of Muji storage. It is something I've had my eye on for a while now, so of course i just had to go and pick some up and i actually got round to doing so. I wasn't in the right frame of mind when buying it, but luckily i bought the right amount. 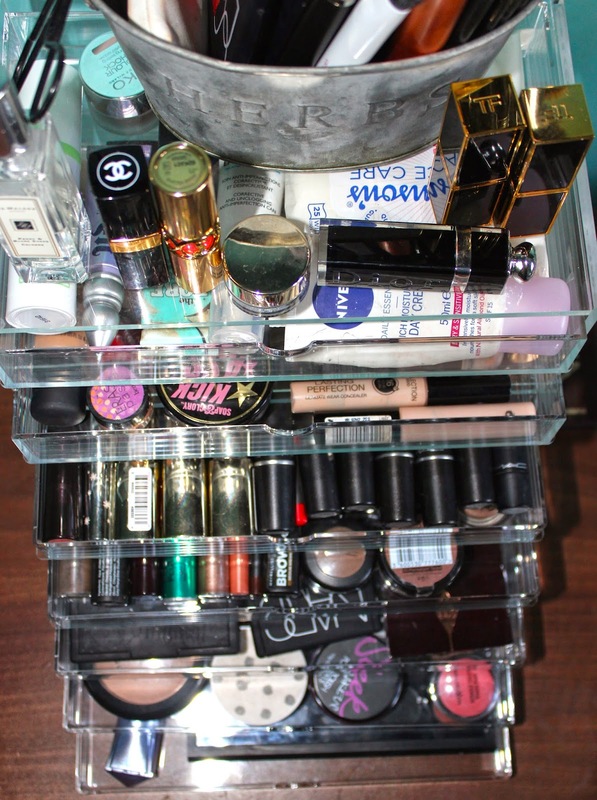 leaving half of your makeup at uni then having bought a load online the other day, i think i may need some more.. Some people aka my sister think its pretty expensive, but i believe that whilst it may be reasonable in my eyes, its going to last me a bloody long time. The top 2 boxes are bigger and they were £11.50 i blelieve, i keep my skincare in the top draw then foundation, concealer and powder in the 2 draw. The first one also has a flappy lip, but as i have my brushes on top, i don't use that. The bottom set of 5 draws were £24.95 and i keep, everything else, so lipsticks, eyeshadows, palettes and my MAC palette in there. 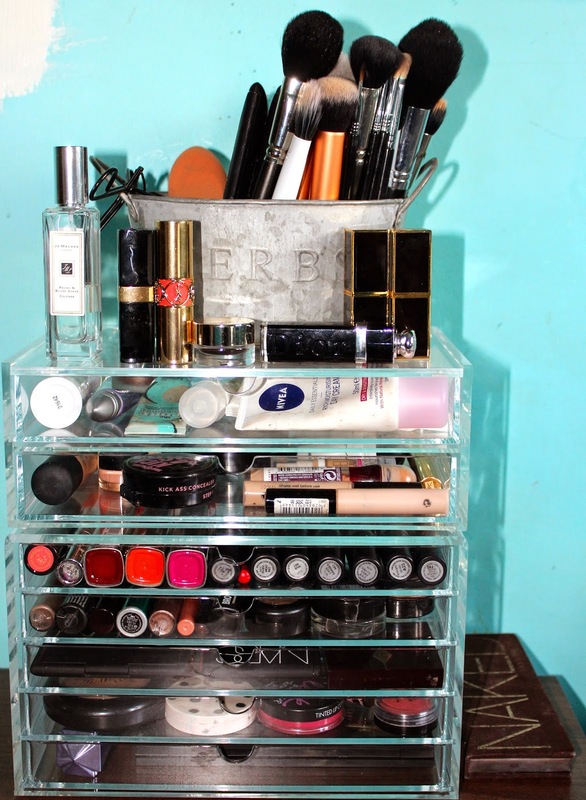 so organised and pretty. love it! haha, i need to buy some more already haha!